By Karlene Pettit During the mid 80’s I was working for America West Airlines when CRM– Crew Resource Management– came into full force. Arms folded, eye rolling, and heads shaking, the pilots foug ht their required three-day CRM course. At the time, CRM was just a classroom training event. And, “They didn’t need it.” The pilots believed CRM would strip away the captain’s authority. “Someone has to be in charge!” This touchy feely psycho-babble was a waste of time, and they didn’t need to be taught how to be nice. We’ve come a long way since then…but we still have a long way to go; especially with the new stressors and uncertainty of the industry. Crew Resource Management, initially Cockpit Resource Management, is the foundation of safety. CRM consists of the utilization of all resources– people, equipment, and procedures– to increase situational awareness, improve problem solving and decision making skills, enhance teambuilding, and enable better communication. CRM encourages all crewmembers to speak up, and become part of the solution working with the captain. Instead of one pilot, there grew a team. And with this team, grew the synergy of multiple minds and experience levels. Everyone has something they can add. This team has also brought the flight attendants into the loop. 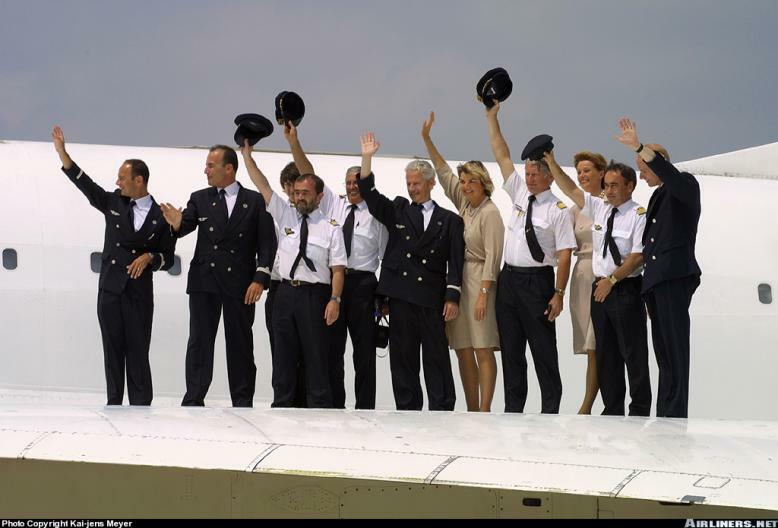 Fostering positive communication with the cabin crew eliminated the fear of the all mighty captain, and opened the door to added safety. The cabin crew became they eyes and ears in the back of the plane, and weren’t afraid to speak to the captain when a problem arose. Why is CRM necessary? Eastern Airlines, Flight 401, December 29, 1972. The crew became focused on a landing gear position indicator. Not a big deal. But the crew’s failure to notice that the autopilot had disconnected was a deal breaker. The crew flew their perfectly good airplane into the Everglades killing everyone on board. United Airlines, Flight 173, December 28, 1978. Arriving into Portland, this DC-8 displayed only two of their three green landing gear lights. The captain decided to burn fuel before they touched down. They circled just beyond the runway. The Flight Engineer noticed the fuel running low… too low. Despite his efforts to convince the captain that they should land, the captain didn’t listen. They crashed short of the runway after they ran out of fuel. 1979, NASA determined the primary cause of these accidents, and many others like them, had been the fault of the flight crew. Pilots were flying perfectly good airplanes into the ground. Human factors were to blame, and the CRM movement began. Shortly thereafter the FAA mandated CRM training for all part 121 airlines. CRM soon impacted the way flight crews were trained, and checked, in the simulator. Now pilots experience full flight simulator sessions conducted with Line Oriented Flight Training scenarios…the all mighty LOFT, and Line Oriented Experience checkrides…the LOE. Pilots are now trained, and checked, as a complete crew. Flight attendants, dispatch, and maintenance all play a role, and can be utilized by the pilot during their simulator event. Crew communications, teamwork, systems knowledge, environmental management, and procedures are all taken into account. How well does this training, and checking, work? It’s exceptional. I had the opportunity to watch a captain with excellent piloting skills fail a checkride because of poor CRM. Not that his failure was a good thing, but it demonstrated the importance of CRM to the flight, and that even the best pilot can’t do it alone. This captain micro-managed the flight deck, and had the second officer so flustered that he couldn’t do anything right. The captain didn’t utilize any resources available. With his attempt to do it all by himself, he forgot to call for the Before Takeoff Checklist, departed without lights, and the list of errors grew long. Another significant accident: American Airlines, Flight 965, December 20, 1995, Cali Columbia. Loss of situational awareness, and poor procedures were ultimately to blame. The crew didn’t pay attention to their multiple threats: Late night flight, two hour delay, last minute runway change, a rushed approach, unfamiliarity with the area, and high terrain. On a side note, I find it interesting that all three of these accidents occurred within five days of Christmas. A coincidence… or another level of distraction? Definitely a threat. Coming soon… how to manage those threats. I’m the mother of three daughters, the grandmother of two granddaughters and a grandson. I’ve been married for 29 years. Hold a masters in counseling and a MBA. I’ve worked for 8 airlines… Coastal, Evergreen, Braniff, America West (training department), Guyana, Tower, Northwest, and now Delta. I have 7 Type ratings. 727, 737, 757, 767, 747-200, 747-400, A330 I’ve instructed in the classroom, in the simulator, and on the line for 21 years I put Guyana’s 757 in service… designed and implemented their training program. Wrote their curriculum… training manuals, procedures, emergency manual..etc., taught the ground school and simulator, and was their FAA/CAA designee. America West… 737 and 757 simulator instructor. Northwest, 747-200 Second Officer/ Check Airman… and then 747-400 First Officer For the previous 20 years, I have also worked for Premair.. my second job, instructing in the classroom and in the simulator on the 737 and 757 aircraft. I’m currently flying the A330 for Delta. Final airline home. I just wrote my first novel, an Aviation Thriller…and I’m in the editing phase. Many more to come Follow Karlene Pettit on her personal blog and at http://www.flightpodcast.com/! Threat And Error Management: The next level of safety, above and beyond CRM (Crew Resource Management) Threat and Error Management is a systems approach to safety and risk management. Threats: The events and situations that increase operational complexities. Errors: The actions or inactions that lead to deviations from expected operational behaviors. Management: Mitigating the potential damage. In 1994 Delta Airlines and the University of Texas joined forces in a human factors research project. 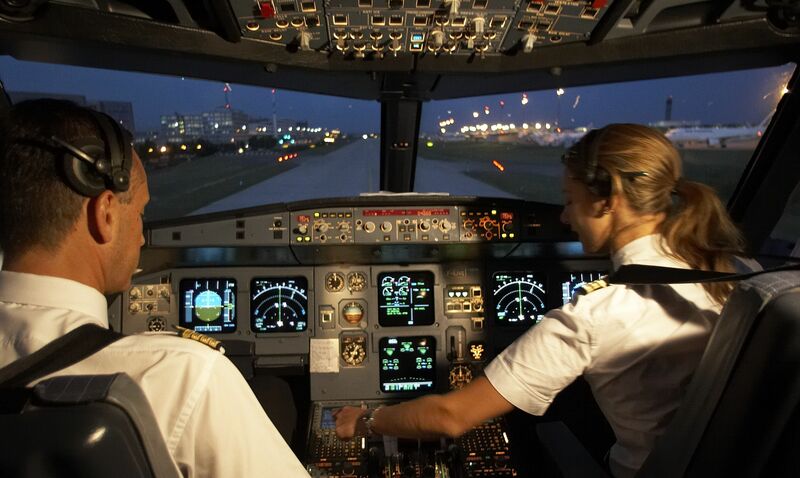 Their intent was to evaluate CRM behavior in the flight deck, taking CRM to the next level. They utilized Line Oriented Safety Audits, LOSA, and observers in the jumpseat, on revenue flights, to identify errors. The origin of, the response to, who detected them, and the ultimate outcome of those errors were recorded. The LOSA form was later transformed, taking into account the management of the error, as well as the type of error. The bottom line is that everyone is going to make errors. The significance of Threat and Error Management is that we as crewmembers identify, and mitigate, those errors before they impact the safety of the flight. Accidents never happen because of ‘one’ event. Multiple events occur and they fall into place, the moon aligns with the stars, and one thing builds upon another, and the accident follows. Be aware of the kink in the chain, the potential for it breaking, and stop the accident. Threat and Error Management takes into account the principles of CRM and the interrelationship of human performance with the complexities of the environment in a dynamic platform. English: We work in an imperfect, dynamic world, and we all have the capability to make human errors. Threat and Error Management’s goal is to be aware of the environment that presents the threats, watch for and identify the potential errors, and stop them before they multiply into an accident. Awareness to the potential threats, and communication, is the first step. The next step: Acknowledge that errors can happen, and be forthright in speaking up when an error does occur. Stop the chain. Utilizing exceptional CRM skills in the dynamic world we operate may not completely eliminate errors, but will stop them before they grow and compound, ultimately improving safety. Threat and Error management is something that all pilots, both commercial and private, should utilize anytime they approach a plane with the intent to fly. Utilize all resources, assess the environment… external and internal, be aware that anyone can make a mistake, and have a safe flight. I'm the mother of three daughters, the grandmother of two granddaughters and a grandson. I've been married for 29 years. Hold a masters in counseling and a MBA. I've worked for 8 airlines… Coastal, Evergreen, Braniff, America West (training department), Guyana, Tower, Northwest, and now Delta. I put Guyana's 757 in service… designed and implemented their training program. Wrote their curriculum… training manuals, procedures, emergency manual..etc., taught the ground school and simulator, and was their FAA/CAA designee. America West… 737 and 757 simulator instructor. For the previous 20 years, I have also worked for Premair.. my second job, instructing in the classroom and in the simulator on the 737 and 757 aircraft. Follow Karlene Pettit on her personal blog and at http://www.flightpodcast.com/!